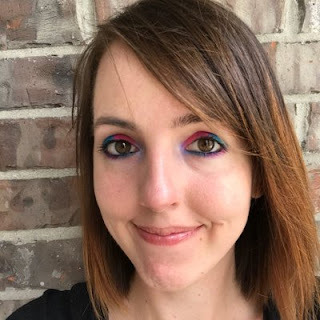 Welcome to the first day of Independent Author Week on my blog! This week, I'll be interviewing three independent authors and giving everyone an inner look into various writers' processes. Today, please welcome my first guest: Candace Robinson! So I generally do YA novels, occasionally NA but not the super raunchy kind! I like to do things that are quirky and dark at the same time. When I first started writing, I dabbled a little in poetry, and that was generally dark in general. Do you have any books for sale right now? I do! Hearts Are Like Balloons! 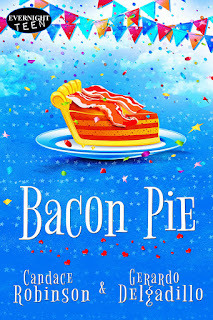 My next book, Bacon Pie, comes out April 13th. Quinsey Wolfe's Glass Vault was on sale, but the rights got picked up by The Parliament House, so it will be re-released June 26th, with changes—don't worry, it's mostly the same if you already read it! Outlining is a no go for me! I would never get anything done, and in the end, I veer completely off from my general idea anyway. So I usually write down my ideas and put them in order and start from there! It works for me, perhaps not everyone! Coming up with characters that feel like they are a part of you, even though they are nothing like you. Yet they are all my babies, even though some are very very bad! Go ahead and cry if you need to! I cried many many times, and then pulled up my big girl pants and focused. It was senior year in high school when our English teacher told us to just write. At first, it was a pile of junk, but then an idea started brewing, and I held onto it! It took me years to finally start writing a novel, though. The world, love, imagination, a little darkness sprinkled in because without light there's no dark, right? I believe that was a quote from Tim Curry in the movie Legend. Toughy! I usually just force myself to keep going, and it comes to me! It's been working for me, hopefully it keeps on doing it! Otherwise, I may have to get advice somewhere else! My next goal is to get an agent, and that process has been super tough! I actually have two manuscripts finished right now! So hopefully I'll get an agent for those!! Candace's book Hearts Are Like Balloons is now available to buy! 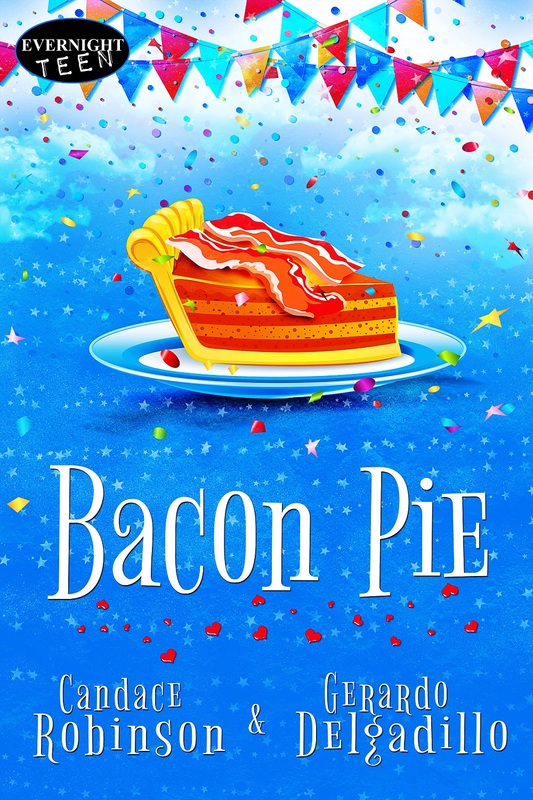 Check out her new book, Bacon Pie, coming out April 13! On Wednesday, I'll be featuring another cool indie author, H.G. Reed, so be sure to check back then!